Last night my wife beat me home after work, so my usually garage-parked car was outside. And since my wife’s Pilot does not fit into our garage, there was a very large (dirty/dusty/grimy) concrete surface for me to play on! 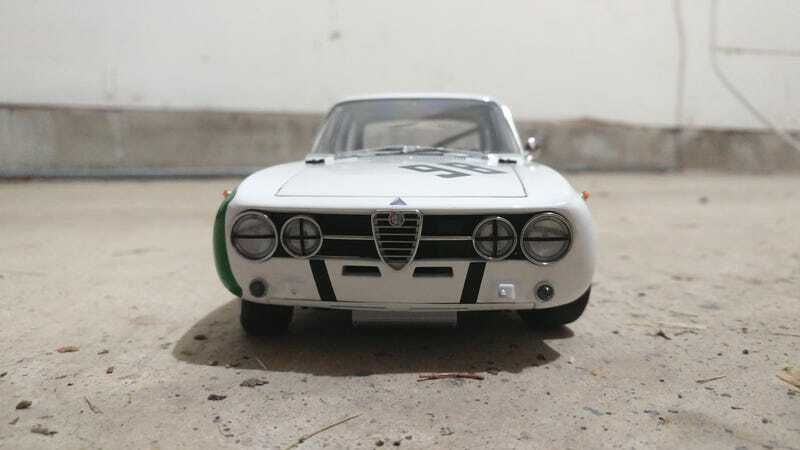 Enter: 1:18 AUTOart Alfa Romeo GTam.